Original colour print with title in bottom margin. Minor loss but fresh colour compensates. 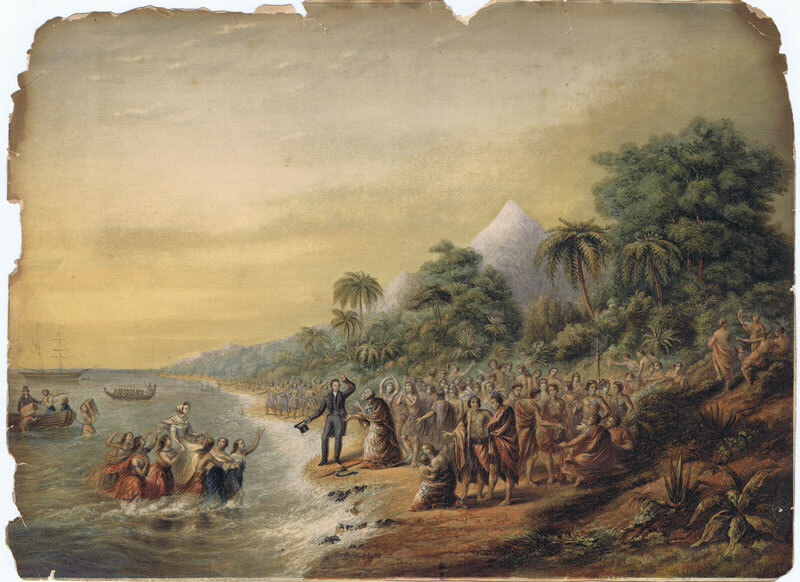 16 x 12"
BONNE Rigobert I. Pitcairn. 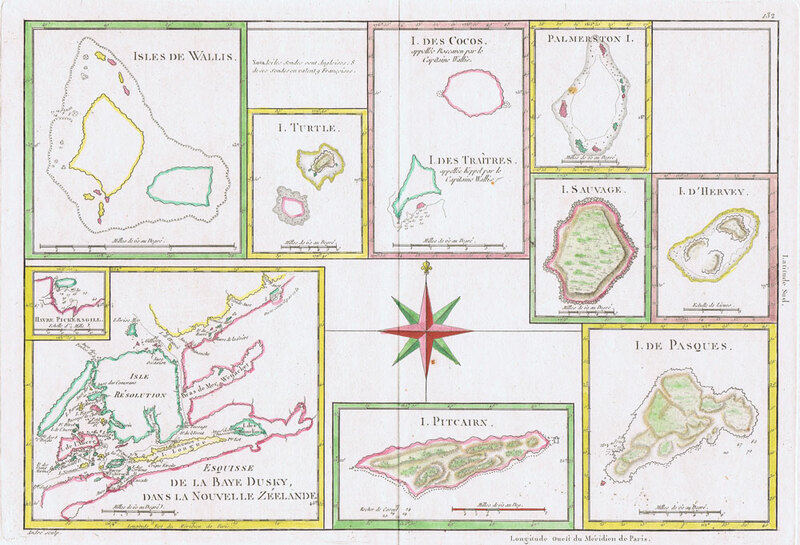 Isles de Wallis. Esquisse de la Baye Dusky, dans la Nouvelle Zeelande. 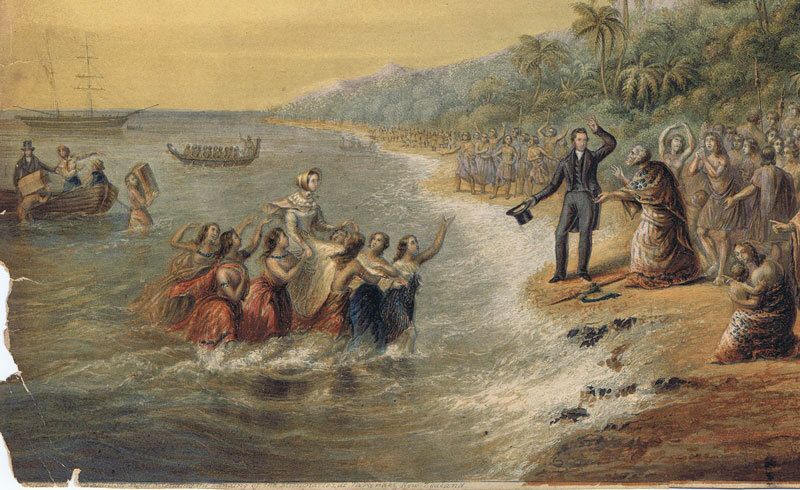 Hand coloured engraved maps of Pacific islands in compartments. Fine. 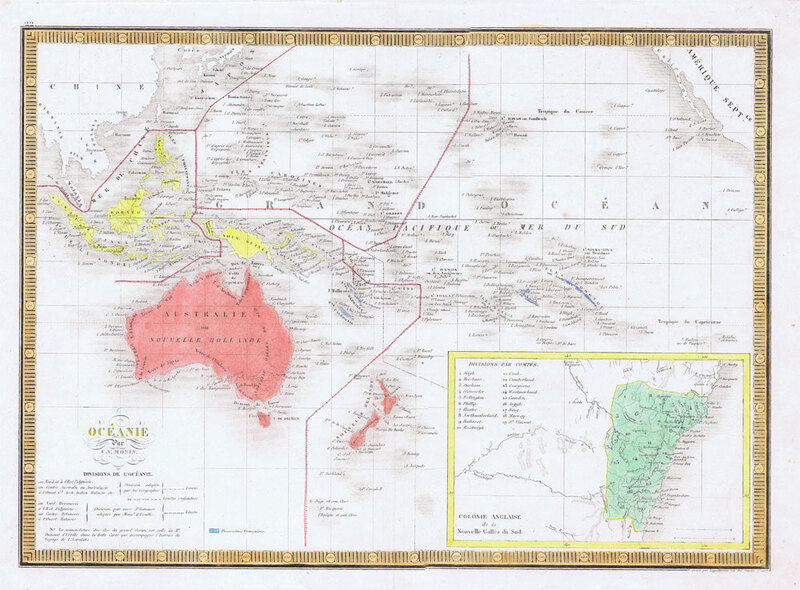 13.5 x 9.5"
Engraved map with inset of New South Wales. Contemporary colour. 15.5 x 11"
Tinted map showing roads and railways. 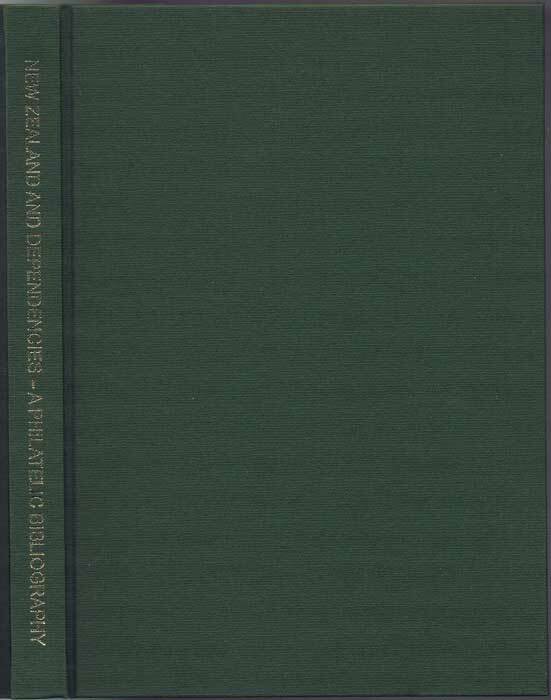 12.5 x 19"
BEECH David R. and BERRY Allan P. & STARTUP Robin M. New Zealand and Dependencies- A Philatelic Bibliography Thames, New Zealand 2004 288 large pp. 1st ed., new in box. 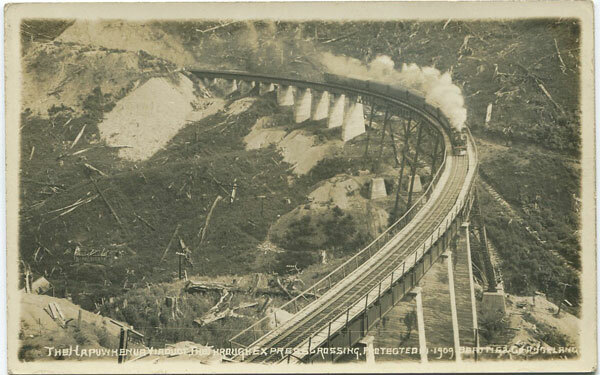 1909 The Hapuwhenua Viaduct. The Through Express Crossing. Old real photo New Zealand postcard, fine unused. 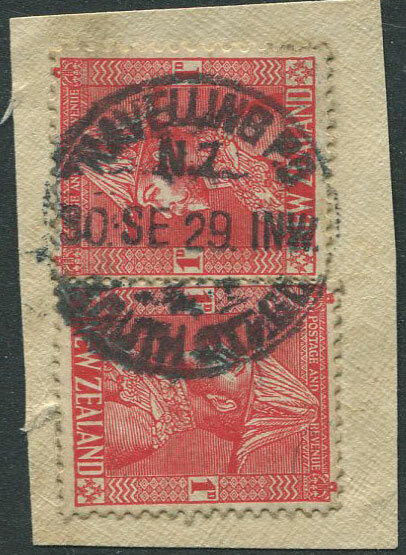 1929 TRAVELLING P.O. 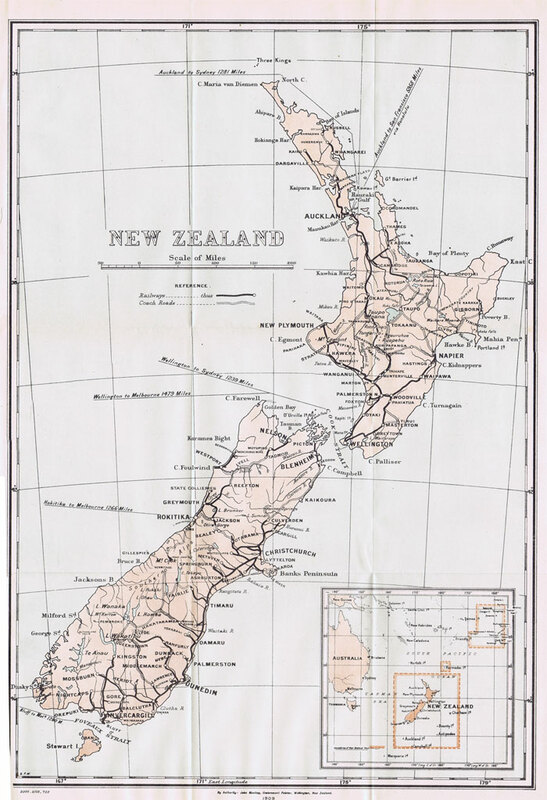 N.Z. SOUTH STAGE cds on piece. 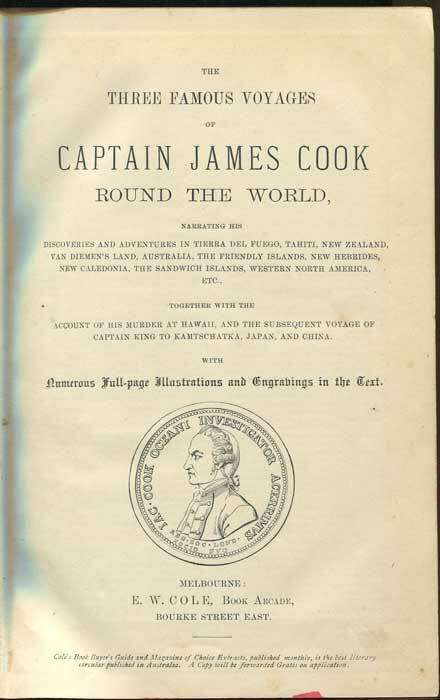 COOK James The Three Famous Voyages of Captain James Cook Round the World: Narrating his Discoveries and Adventures in Tierra del Fuego, Tahiti... Melbourne: E.W. Cole 1888 (circa) xi + 1176pp + folding map and plates. 1st ed., clean in modern cloth with new end papers.